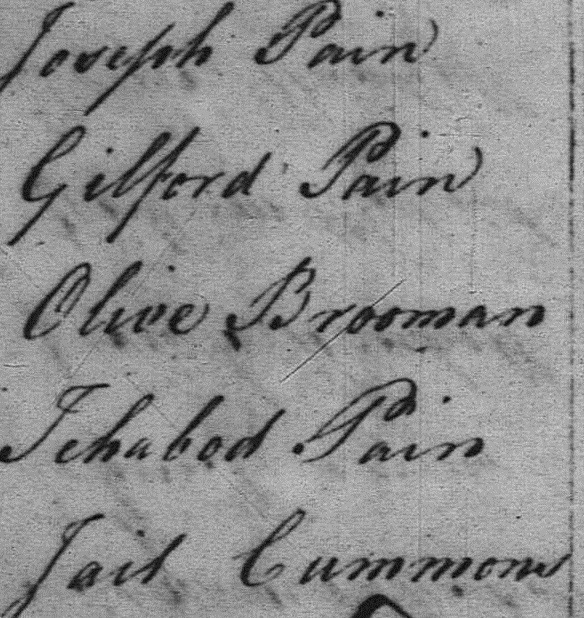 With Halloween at the end of this week, I was particularly delighted to add a ancestor name that evokes both Protestant tradition and a slice of classic American horror, – Ichabod Pain. Ichabod Pain enumerated in the 1800 US census of Freetown, Massachusetts. When we carve jack-o-lanterns, disguise the kids to fool the neighbors (trick-or-treat), or see a movie that scares us silly, we’re paying tribute to the ancient past. Many cultures incorporated the belief that ghosts and other supernatural entities, get a visitors’ pass to the mortal world on Halloween night. Washington Irving’s time and place had its own practices. He also wrote a history of New York. As an educated man, Irving’s sensibilities were aligned with Enlightenment values of science and reason. For his entertaining fiction, he drew on regional folk tales, superstitions, and universal human foibles to poke a little fun at unreason. The original Ichabod Crane was a stern, psalm-singing school teacher. Irving gave him a homely face and awkward physique. When Ichabod sets his sights on marrying the beautiful Katrina Van Tassel, – though his affection may be genuine, he is also fully aware that the inheritance due Katrina from her wealthy father would greatly improve his circumstances. As the story goes, Crane loses the girl to his rival, Brom Bones, – who is not necessarily a better man. Brom is a bully, but not a dummy. 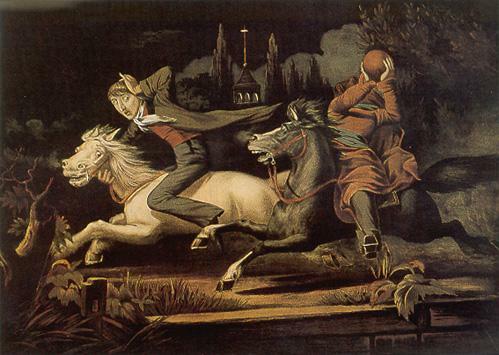 His epic prank, – the ride of the headless horseman, exposes Ichabod’s credulous and cowardly nature. So, as first conceived, Ichabod Crane was a dork and a loser. Irving would have loved Jeff Goldblum‘s Ichabod Crane in the 1980 NBC television version of The Legend of Sleepy Hollow. Before, on the cusp of the 20th and 21st centuries, the classic tale vanished. In Tim Burton’s 1999 movie, Sleepy Hollow, Crane was reimagined as his opposite, a man of science, brave enough to overcome his fears, – and solve crime! Within 20 years, pop culture transformed Ichabod Crane from zero to hero. While the gifted Johnny Depp imbued his character with a bit of authentic dorkiness, – his movie idol, swoon-inducing looks obliterated the literary image of Ichabod Crane. Johnny Depp & Christina Ricci in Sleepy Hollow. In 2013, we got a Fox TV series that is a sort of Sleepy Hollow / Rip Van Winkle mash-up. The latest Ichabod Crane is a refugee from the 18th century trapped in our time. He’s educated and intelligent, has courtly manners, a scrupulous sense of honor, and a wicked sense of humor. On top of that is layered so much courage, that Crane’s job is keeping the world from going to the devil – literally. Not a hero, a superhero. 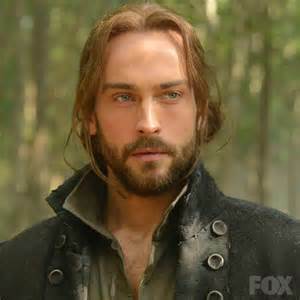 As played by the mesmerizing Tom Mison, – however preposterous the story line, a lot of educated and rational people are willing to suspend disbelief long enough to watch this incarnation of Ichabod Crane. But before we part, a quick jump back to Washington Irving, the creator. 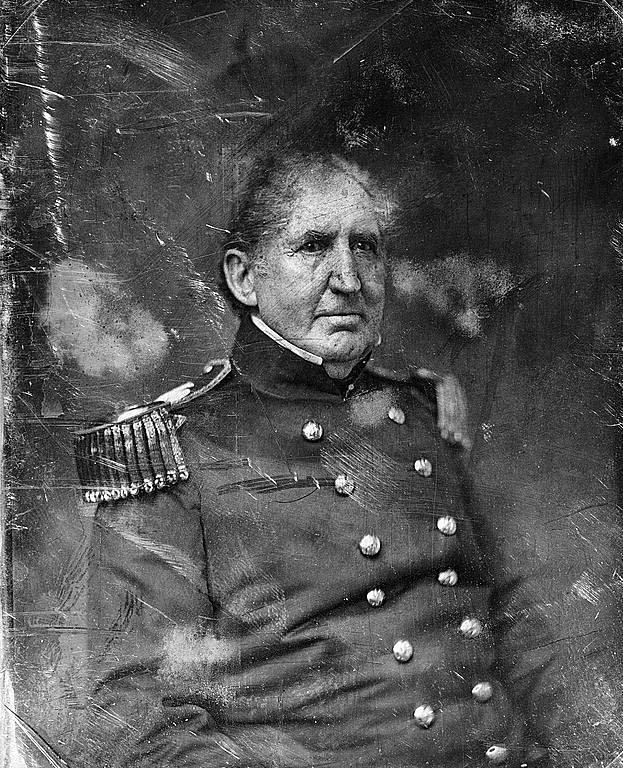 He is thought to have named his Ichabod Crane character for Colonel Ichabod Bennett Crane (1787-1857), a man Irving met in 1814. Colonel Crane went on to serve the nation an astonishing 48 years, – so he wasn’t a model for the protagonist’s flaws, – rather, Irving just really liked that name, Ichabod Crane. — Happy Halloween! * Protestant naming practices are also especially valued, because married women don’t always lose their birth names – as happens in Catholic families from the nineteenth century and earlier. This entry was posted in American history, New York History and tagged Halloween, Ichabod Bennett Crane, Ichabod Crane, Ichabod Pain., Jeff Goldblum, Johnny Depp, Tim Mison, Washington Irving by poorirish. Bookmark the permalink.